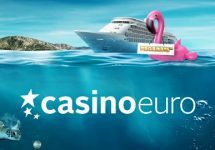 Casino Euro – Mega Rock Your Way To Florence! Win an unique Rock concert experience or up to €1,000 in cash! Rock on the reels of the Megaways slots at Casino Euro for the chance to win a trip for two to Firenze Rocks in June 2018. The winning warrior will rock out for 4 days with some of the best rock bands in the world and do so in style. Party like a rock star, meet Eddie and sing along to Paradise City, Crazy Train and other top rock hits in sunny Florence, Italy. 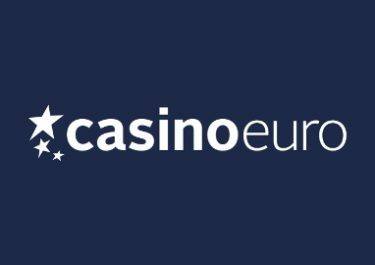 Plus, there are 39 runners-up prizes worth up to €1,000 in cash! 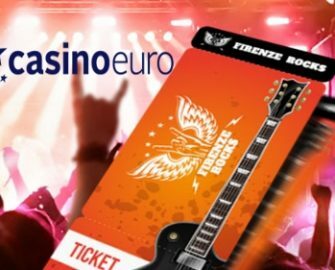 Head-banging week ahead of us at Casino Euro with a thrilling race on Megaways slots that will see the winner and a friend carry on head-banging in Florence from 14th – 16th June 2018 at the Firenze Rocks Open-Air Festival. Compete against your fellow rock fans until midnight on 6th May 2018 to score points towards the leader board and race into the TOP40 to win a prize. Terms and conditions apply. The TOP40 spinners by midnight on 6th May will win a prize: 1st – Trip for two to Firenze Rocks | 2nd – €1,000 cash | 3rd – €500 cash | 4th – €300 cash | 5th – €200 cash | 6th to 10th – €100 cash | 11th to 20th – 5 minutes of Free Spins | 21st to 40th – 40 Free Spins. The Firenze Rocks package includes return economy flights for two from anywhere in Europe, 5-nights hotel accommodation and two tickets to the Open-Air Festival 2018 from 14th to 16th June 2018. A cash alternative is not available. 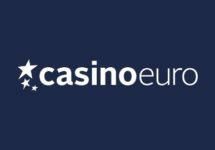 All runners-up prizes will be credited by 17:00 CET on 7th May 2018. The game for the Free Spins will be announced in due time. 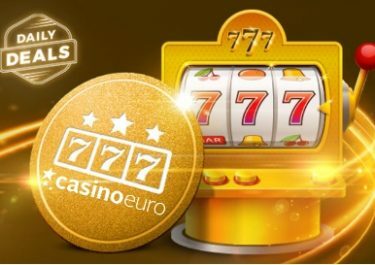 The winnings from the Free Spins are credited as bonus money with a 15x wagering requirement within five days, subject to the Casino Euro bonus terms and conditions.